In these latest video testimonies, Baka men and women reveal the violence they have suffered at the hands of anti-poaching militias backed by WWF. This debunks WWF’s claims that the situation seems to have improved. “Some of the world’s largest logging groups are destroying the Baka’s ancestral forests in the Congo Basin. This Baka man lives near logging concessions run by the French giant Rougier, one of the World Wildlife Fund’s main partners. “Baka “Pygmies” are being illegally evicted from their ancestral homelands in the Cameroon and Congo. “A Baka father talks about how an anti-poaching squad beat his young daughter, who was just 10 years old, in 2016. Djami’s community are being illegally evicted from their ancestral homelands to make way for a national park, and face arrest and beatings, torture and death at the hands of these squads, which are supported by the Worldwide Fund for Nature (WWF). “A Baka man, interviewed in 2015, reports abuse by Cameroonian wildlife guard Mpaé Désiré. Mpaé Désiré was arrested in 2016 on suspicion of involvement in the illegal wildlife trade. The Natural Capital League (NCL) has gained it’s power and influence steadily over time and through it’s extensive networks. After 35 years of the development of ecological economics two senior foundational figures have emerged who are utterly worthy of the title MVP. One of these senior figures is a revered economist and the other is a lawyer, networker, manager, author, and academic. 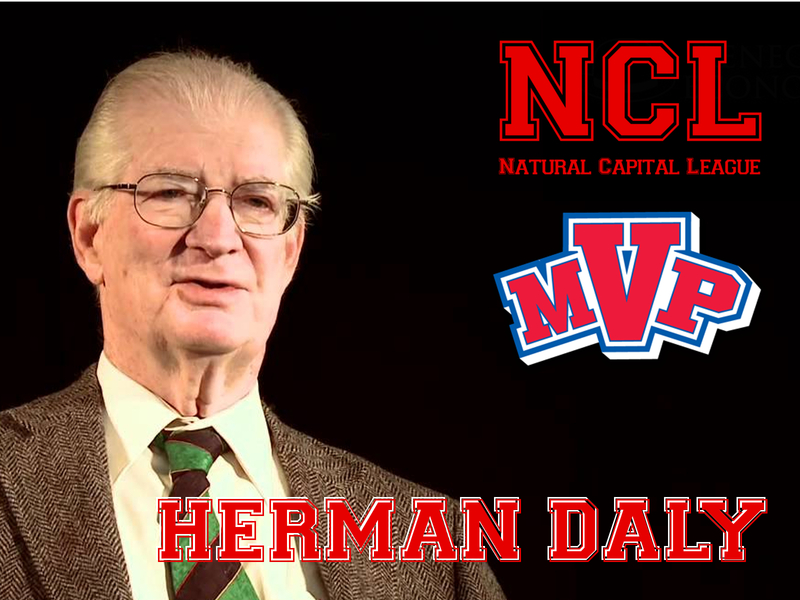 Herman Daly is not only a most valuable player, he has defined the game itself while developing the other talented players who’ve pushed the league forward. His great conceptual achievement is the idea of the ‘steady state’ (1977). He has been a very active proponent of the ‘polluter pays principle’. In 1991, while he was at the World Bank to work on sustainable development policy, he argued for the idea of ‘rights to pollute’. 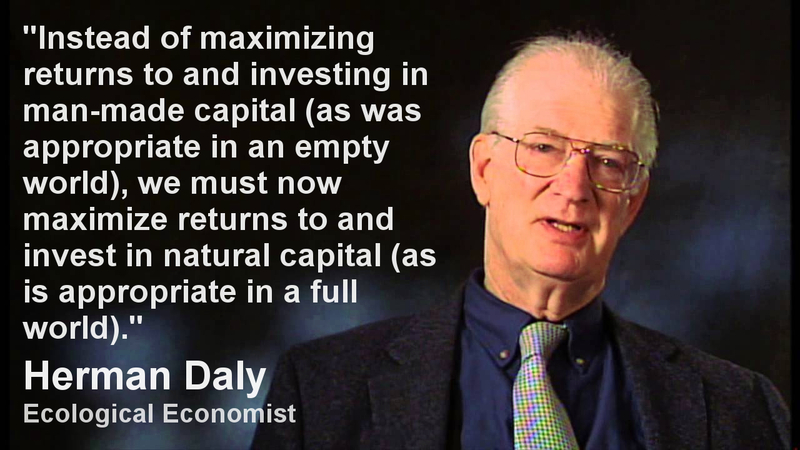 In 1992 he co-wrote a paper containing one of the earliest usages of the term ‘natural capital’ titled ‘Natural Capital and Sustainable Development’. In this paper a definition of the term ‘natural capital’ was provided based on a ‘functional definition’ of capital – “a stock that yields a flow of valuable goods and services into the future”. Herman Daly was the 1996 winner of the Right Livelihood Award, the 2008 Adbusters ‘Man of the Year’ and the 2014 Blue Planet Prize winner. He co-founded the journal Ecological Economics, was closely involved in the founding of the International Society of Ecological Economics and is currently on staff at the Centre for the Advancement of Steady State Economics (CASSE). In 2012 he was a featured interviewee in the documentary ‘Four Horsemen’ directed by Ross Ashcroft who is also known as the Renegade Economist. James Gustave Speth is all about networking and was once dubbed the “ultimate insider”. He’s an MVP because his whole contribution is much greater than the some of the parts he has played, and he has played so very many parts. His list of fellowships and board appointments stretches to every corner of the sustainable development project. He is the highest ever American office holder at the united nations. He was the administrator of the United Nations Development Program, and he went on to become the Special Coordinator for Economic and Social Affairs under UN Secretary-General Boutros Boutros-Ghali, and chair of the United Nations Development Group. He cofounded the Natural Resources Defense Council (NRDC) and founded the World Resources Institute (WRI). Crucially he knows how to reposition his career to the advantage of sustainable development. Gus Speth got arrested with climate justice movement leader Bill McKibben in an anti-KXL pipeline protest for the first time in 2011 shortly after moving on from the NRDC and WRI. He responded to the threat of climate change by joining the US advisory board of climate justice organization 350.org and followed up on his vision for the future laid out in his book ‘America the Possible: Manifesto for a New Economy’ through his various networks and positions held in the new economy movement. He is a senior fellow of the Democracy Collaborative, associate fellow at the Tellus Institute, co-chair of the NextSystem Project, board member of New Economy Coalition, former dean Yale School of Forestry and Environmental Studies, Professor at Vermont Law School and was chairman of the U.S. Council on Environmental Quality (Carter Administration). He has a string of other fellowships and advisory roles all relating to sustainable development and new economy issues. 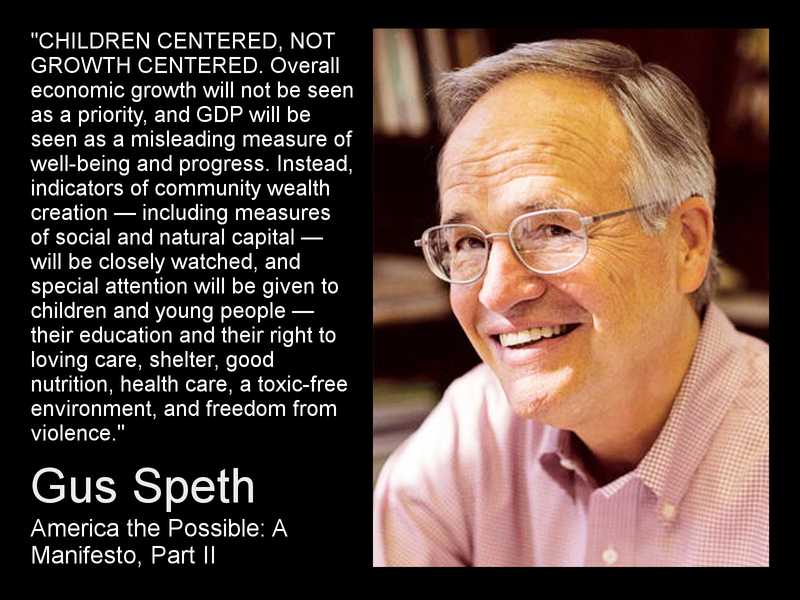 It’s Gus Speth’s role as consultant to the Capital Institute that ties all his networks to the Natural Capital League. The Capital Institute could be called the home of ‘regenerative capitalism’ which connects natural capital flows to the restoration of nature to improve the value of ‘ecosystem services’. Several natural capital economists from organisations such as the Gund Institute with which he shares a close relationship are involved in the Next System Project which he chairs. The Next System Project is focussed very much on social enterprise, support for communities and democratic process. 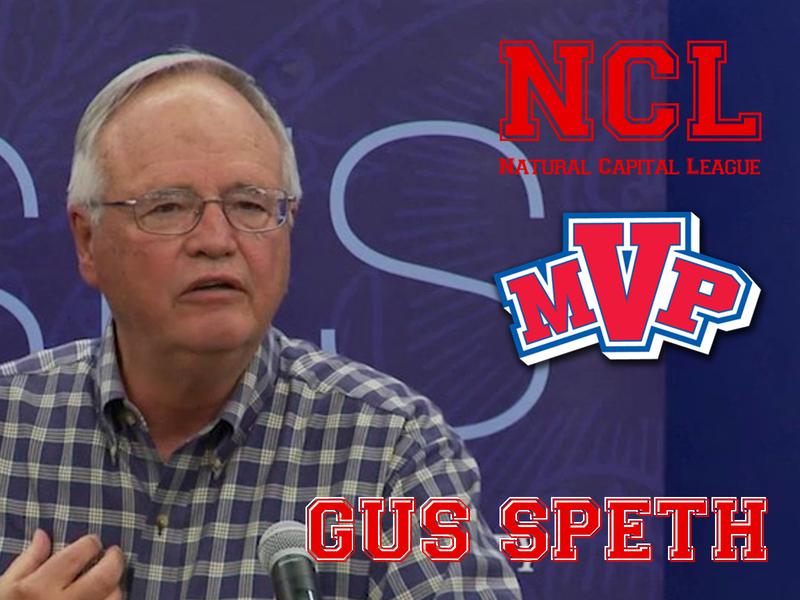 We can expect that Gus Speth will continue to refine his networks and position himself to see sustainable development and the Natural Capital League flourish.